Over the river and through the woods we travel on this cold winter night. Located in a distant low lying river valley, is our destination. If you are from the area, you will know that this venue is located close to the mighty Mississippi river. If you are not from this neck of the northwoods, then thoughts of being lost may cross your mind as you travel to this venue. Outside the snow gently falls to create an elegant and peaceful atmosphere. Tonight would be a great night to snuggle up with a loved one in front of a roaring fire next to the hearth. Nonetheless it’s Friday night and as we draw closer to the venue we can feel the excitement fill the air. Amongst the excitement that hovers above, there is a hint of spirit mixed in. Although this venue is a casino, the spirit does not include lady luck. Far from it! No, this spirit is filled with love, giving, receiving and a taste of Christmas. It’s a spirit that has been spread throughout the country side for twenty-eight years. It’s a spirit that four talented gentlemen have created with what they call Celebrate Christmas. 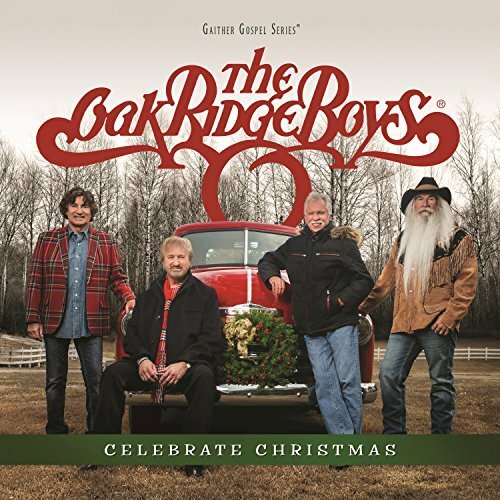 It’s December 15th, 2017, and the spirit of Christmas arrived in the northwoods brought to us by Joe Bonsall, Duane Allen, William Lee Golden and Richard Sterban; otherwise known as The Oak Ridge Boys. Family is exactly what this is. There may be a stage that separates the Oaks and the audience, but one can not feel that separation. The boys bring a sense of intimacy through their music, personality and character. The first half of the show is filled with beautiful renditions of the songs that the Oak Ridge Boys are known for. Including a beautiful and heartfelt rendition of “Thank God For Kids” performed by William Lee. “The greatest moment in country music is when William Lee Golden sings ‘Thank God For Kids.’” states Joe Bonsall. The audience agrees as love fills the air. The boys share the stage as they each take turns performing various songs. The energy level in which each of the songs is performed with is so high, that one would think each of the boys had ten cups of spiced egg nog prior to the show. However, it is the love and gratitude that each of these men perform these songs that reflects more so then the energy level. For these men know first hand what it takes to earn a living in this industry. With a short interlude, the boys return to the stage to share with us the music that is so dear to them. Christmas is a special time and it is a time that each of us celebrate in our own unique way. The way these talented men celebrate Christmas is by spreading the spirit contained within, to the vast parts of the country. This year, our part of the northwoods was lucky enough to enjoy the spirit provided by the Oak Ridge Boys. I could easily share with you minute by minute or play by play of this show. Nonetheless, it is not for me to share. This is a moment in time that needs to be witnessed individually. I will say this - listening to these classic Christmas carols live, really opened my heart to them. Sure Elvis Presley is known for his version of “Blue Christmas,” however it is Richard Sterban who truly captures the real spirit and essence of the song. 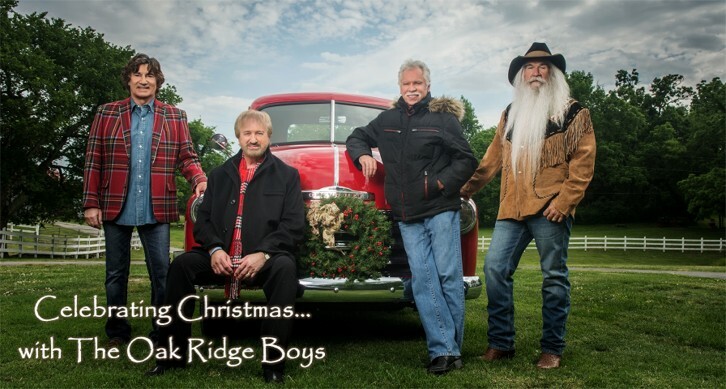 I will share with you this—The Oak Ridge Boys must have been extra nice this year. At one point in this incredible performance, the boys welcomed their biggest fan—Santa Claus. With a few ‘ho, ho, ho’s’ mixed with a few laughs and lots of music, Santa brought more spirit to this show. With just ten days shy of Christmas, Santa took time out of his busy schedule to show his love by spending time with the youngest audience members. As I looked around the theater, I witnessed something that I had never witnessed before. For even the oldest audience member, had resorted back to their childhood as they too eagerly enjoyed Santa’s brief visit. A great live performance will bring you up, down and then leave you begging for more. This performance was much more. Joe, Duane, William Lee, Richard and the band captured the hearts and souls of all of the audience members from the first note all the way to the last. The entire show felt as if we were sitting in one large living room, while being entertained. The only thing missing was the food and drink! As we, here in the northwoods, welcomed the Oak Ridge Boys with open arms—they too welcomed us with love and gratitude. When the show came to a close with the last notes of “Joy To The World,” we were left with our hearts and souls renewed with love and the Christmas spirit. In my nearly twenty-five years in this industry, I have never seen a live show so precise and elegant as this. My only complaint is that this show would not receive the honor that it so deserves. As I got up from my chair, I remembered that at midnight on this incredible night… the ballot of the 23rd Annual Spirit Awards closed. Will these multi talented men win? If I had my say—they definitely would! was found tonight within the talents of four men named The Oak Ridge Boys.